Contact: 61 3 9309 4695.
which are available as an eBook (Electronic book). Do you prefer your Curry Mad II eBook on a CD? Order your Curry Mad II CD while available. found a box of CD's when moving my office. Before current stocks run out. please make payment (`Add to Cart') then take a moment to send me the following infformation. Once entered, click on Submit to send, or Reset to clear the entries and re-enter the details. Once I receive notification of the payment, your Curry Mad CD will be despatched within a couple of working days. Thanks. 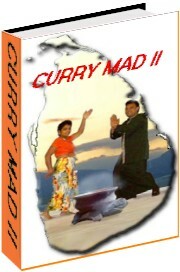 "Curry Mad II" is a fabulous collection of over 300 mouth watering recipes and emphasizes Sri Lankan food. As a matter of interest, the country has a history going back more than two thousand, five hundred years and the more recent "conquests" were by the Portuguese, then the Dutch and finally, the British from whom independence was obtained in 1948. Thus, the foods reflect these influences, much of it combined with the local flavours and adapted to suit local conditions these days. The emphasis is on simplicity and enjoyment with the recipes on Curry Mad II ! This collection includes some rare sweets not much publicised and are essentially seasonal dishes. There are also some 700 plus International recipes along with an excellent Measurement Reference Table as part of the eBook. There is a Contents section where you select what recipes you want to print and use. Please note that the eBook has full directions on how to print your selections. Ceylon - not ONLY tea! Everybody knows about "Ceylon" tea, but how many are aware that a curry is an important aspect of almost all meals of the country now called Sri Lanka. 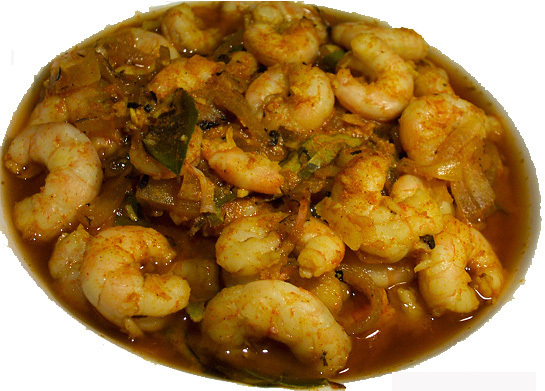 A "curry" does not always have to be "hot" and you are encouraged to experiment with the ingredients, especially the traditional "hot" ingredients such as chilli. "Curry Mad II" is not a collection of only curries; there are other types of foods as well including Sweets and "Taste" (bar savouries). What goes with a Curry? Did you know that a quality Red Wine at room temperature (personal experience), is an excellent accompaniment to a curry? If, after the meal, and the curry is still a bit too "chilli hot", please don't drink all those iced beverages; have a hot cup of tea and feel the difference. With Curry Mad II YOU will surprise your family and your friends with exotic preparations that they may have never experienced before. Wouldn't you be popular? Don't worry about the ingredients for these preparations. They are available in most Asian, Indian or Sri Lankan grocery outlets, and you find these in (almost) all corners of the globe these days! The recipes in Curry Mad II are not watered down; they are the real thing, just the way we cook at home. You will have fun experimenting with the ingredients and preparation of each recipe until you come up with the most suitable combination for your palate.